'Support our Kids’ is a project of the NPO Jidai no Souzou Koubou that helps children affected by the Tohoku earthquake (Japan) in 2011. SUNSTAR collaborates with the Japanese non-profit organisation ‘Support our Kids’ and covers the accommodation of two groups of children affected by the Tohoku earthquake (Japan) during their stay in Switzerland. Switzerland is the country chosen to host these teenagers during 2019 and 2020 as part of the program ‘Partners for Humanitarian Action: peace and reconstruction’ promoted by the Embassy of Switzerland in the country to emphasise both nations efforts in this field. Since 2011, the initiative ‘Support our Kids’ has helped over 400 children and teenagers from this area to experience living abroad and learning new ways to do things. All the students participating in the project have suffered a devastating earthquake and tsunami in their hometowns. 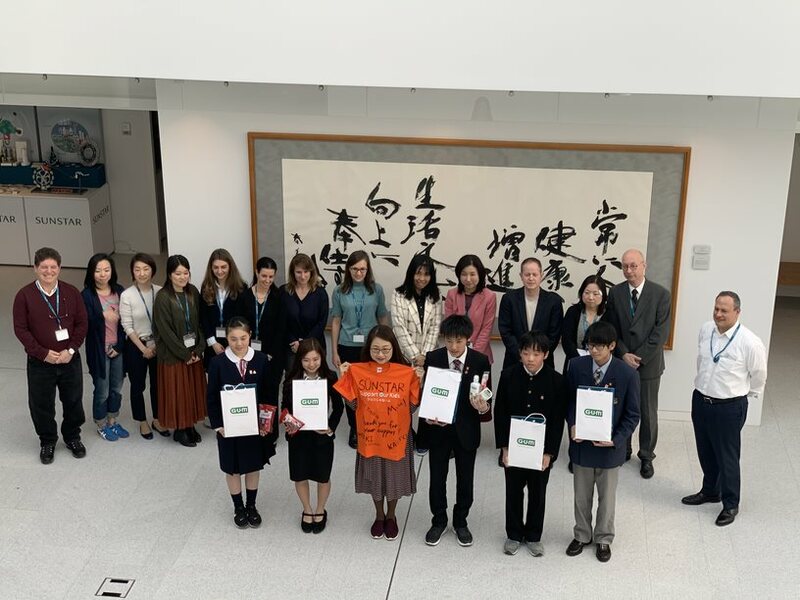 The main objective of this initiative is to provide those teenagers with a valuable experience abroad that helps them to broaden their mind and shows them other ways to face difficulties in a crucial moment in their lives, as they are now finding their roles in society and becoming young leaders of Tohoku reconstruction. According to Takeshi Kamigouchi, CEO of Sunstar Consumer Business: “Back in 2011, I personally volunteered to help the community after the disaster. The Tohoku earthquake had a huge impact on all of us, and our prayers still continue for those who are recovering from such a shock. Helping these children after eight years, therefore, means a lot to me as well as for Sunstar, and I wish that this opportunity in Switzerland shall make the difference in their minds and behaviours”. On the 1st of April, SUNSTAR welcomed the group in their Headquarter office in Etoy. The students shared their experience of the earthquake and the reconstruction of their hometown areas with SUNSTAR employees. During their visit, the students learned about the company’s heritage, its mission and values as well as about its current business, in specific its Oral Care business in Europe. SUNSTAR was founded in 1932 in Japan and has successfully developed into a multinational company, headquartered in Switzerland, that provides solutions in many areas: oral care, health & beauty, chemicals, and motorcycle parts. The company also has been actively contributing to society for many years, collaborating with non-profit associations and promoting healthier lifestyles through its foundation.